If you love baking and are good at it then you really could turn your hobby into a profitable small business. The key ingredients for a successful baking business, aside from the essential baking skills, are passion and love for what you do. Throw in some business skills too and you have an entrepreneur baker and business owner in the making. Are people asking you about recipes or requesting for you to make cakes for their special occasions? If the answer is yes, then you are already well on your way to making a business out of your hobby. Cakes are are a staple for many occasions, but the key is to have something exceptional to offer, or something unique that will make you stand out from the crowd. In this guide, you will get a breakdown of all the essential procedures and requirements needed for you to start your baking business. There is a need for a niche baking businesses – baking is never going to go out of fashion, you can see the popularity and love of baking by the national craze surrounding the Bake Off TV show. If you have something new and different to offer, then there is definitely a space for you in the market. There are several niche opportunities for you to consider, such as baking vegan treats to offering gluten free baking goods. You can start your business from home – this will cut your start-up costs by a considerable amount as you don’t have to spend a huge chunk on rent. It can also save a lot of time because you won’t have the task of looking for a suitable location. If you start at home you can always expand later on to a bigger location, once your business takes off. Additionally, you will be able to offer better rates to customers because you won’t have as many costs yourself. Avoid traditional work – if you start your own baking business, especially from your own house, you are able to avoid tasks that come with traditional work. For example, you don’t have to commute, which will mean that there are no travels costs. You will also able to have a more flexible working hours which is a huge benefit for many, especially if you need to work around your family. Sustainable market – the baking business has been duped as a ‘recession proof’ business. People always will have a need and want for baked goods, whether it’s freshly baked bread or a birthday cake. Creativity – baking allows you to be creative. It gives you the chance and ability to create and experiment with different styles, designs, tastes and flavours. Safety rules and regulations – you will need to make sure that you are well read on and advised on all the safety rules and regulations that you must adhere by. Especially, because you are dealing with food. If you are starting your business from home then you’re subjecting your home and personal space for inspections for health and safety. Having a business in the food industry means dealing with regular inspections and scrutiny that others businesses may not have to deal with. Small profit margins – if your business is at a different location to your home, and you are paying costly rental fees then it is likely you will have to deal with small profit margins. From labour costs to the cost of the actual ingredients for the baking, this may leave little profit margin. Traditionally you are meant to charge four times as much as the value of an item to you. However if a donut costs you £1 to make, charging £4 is just not plausible. Long hours – If you have established a full scale business, then the hours may not be so friendly, as business owners normally have to put in long hours to carry their business through. If you are actually the baker at your bakery then you will have to be up early in order to have the baking goods ready for the early peak time. The start time is usually around 3/4 am. Very competitive – There are vast amount of bakeries/baking business and the competition is plenty. Therefore, you will have to focus on giving something to customers that is new/fresh/different to any other bakery. The basic requirements for starting a baking business are that you need to be be passionate about baking, and you need to be very good at it. There are no legal requirements or training that you absolutely must have in order to become a baking business owner, like you may need in other professions. For example if you were opening a financial advice consultancy, your business would be regulated by the Financial Conduct Authority (FCA), and there would be a number of qualifications you legally will need to obtain in order to deliver financial advice. Having a good knowledge of food safety and business skills would be ideal, and complimentary to running a bakery business. However, a passion and a drive are essential for you to make your business a success. Starting and growing a business is a learning curve, and you will learn and pick up skills as you continue on your business endeavour. Although a baker doesn’t necessarily need to have official training or qualifications, being trained in a specific form of baking can help you give a competitive edge. For example if you are trained in sugar craft, this will give you something unique to offer your customers, that isn’t readily available elsewhere. Your training could therefore become your USP. 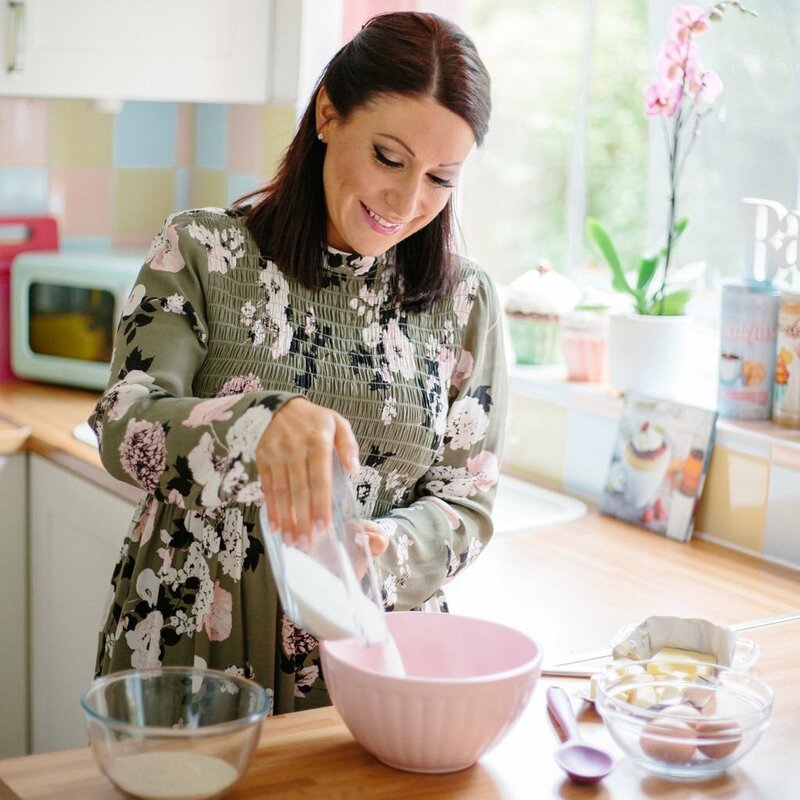 Suzy Pelta, ITV1’s Lorraine’s Cake Club winner, launched her own range of baking kits in shops all around the world since winning the competition, and also had her recipe book published this year. “Turning your spare-time passion into a profitable enterprise takes hard work and dedication” said Pelta, the former singing teacher. She explains how her love and passion for baking has been her main inspiration and driving force behind her successful business, and how she uses social media networking, namely Twitter, as a key way to develop her business. How much start up fund do you need? Your costs will vary depending on the type of baking business you want to start. If you are working from home, you are still going to have start-up costs. However, if you are buying or renting a place to run your bakery then the start-up costs are going to be considerably more. If you are opening a home baking business then you will need around £1,000 to cover licenses and all the legal requirements. This should cover your start-up costs, assuming that you already have equipment that you need. However, it is recommended that you have separate equipment for your business than for your personal use. This can bump up your start-up costs. If you’re running a bakery then your start-up costs are going to be huge compared to working from home. The cost of renting a space will vary widely, depending on what location you choose. 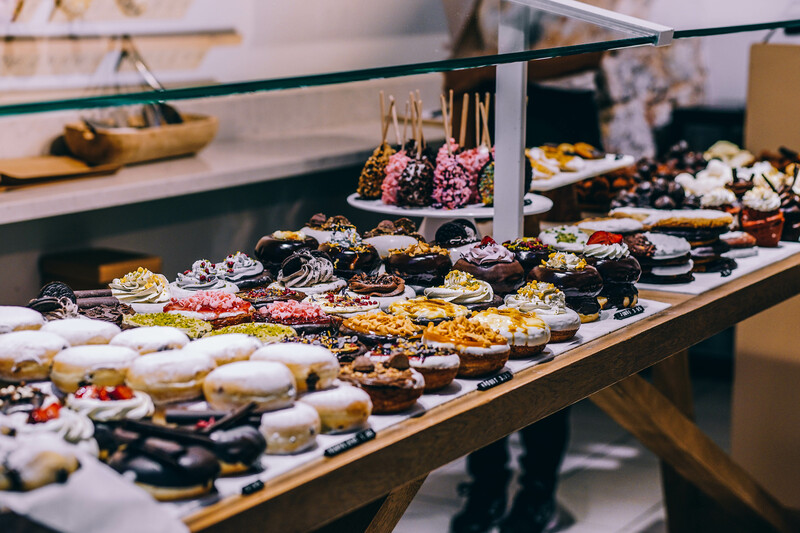 Having a bakery in London is going to be considerably more expensive than a bakery in Derby for instance, so you will need to carry out market research to see what your options are. You will also need approximately £5,000 to cover equipment, which would include items such as bread slicers, dough mixers and ovens. Additionally, you will need funds to cover the costs of raw materials, which includes your ingredients etc. a further £2-3,000 should be able to cover the initial inventory. You may be able to cover the start-up costs from personal savings. However if you can’t, there are different methods of getting funding for your small business, which vary from loans from family and friends to getting government funded start-up loans. The location of your business is a key factor in determining how much funding you will need. You are likely able to fund your home-based business venture from savings, however renting a space will obviously make the start-up costs quite a bit more expensive. As mentioned you will need to consider where the best place would be for you to rent a space for your bakery. For example, is it worth paying London rent prices over the prices that you could pay in your local town centre? Is your business turnover revenue going to be able to cover the rent costs? Where is there demand for the products you intend to sell? You may need multiple different licenses before you can fully operate your business. For instance you will be required to get a food business licence, which applies to any business that wants to carry out any food operations including selling, cooking, storing, handling, preparing or distributing food. You can contact the local authorities to help you decide what other licences you may need, as this will depend on the size of your business as well as the location. Alternatively, you can check on the gov.uk website for the licence finder to give you some indication. You will also need a good business plan in order to map out your whole business, whether this is to gain funding or not. Seeing the big picture will let you see any holes in your thinking early on, and the competitive research you do will force you to come up with new and creative ways to outgrow everyone else. Your business plan will include your business visions and goals, as well as your budget, marketing plan and forecasted sales. You will of course also need the basics such as equipment, materials, packaging and skills in your field. There are multiple channels that you can explore to attract customers to your business. Social media marketing is one of the most important and prevalent forms of marketing to attract customers in the market today. It’s relatively easy and to set up and it’s free. When you are starting up your business, keeping costs low is often a priority, therefore free platforms for marketing should be taken advantage of. You can also make the most out of word of mouth, as this is the most reliable referral source. If people have heard good things about your business, they are more likely to come to your business. Encourage your family and friends to promote you and your business within their own networks, and consider have tasting sessions to introduce your business to new customers. If you provide baked goods for parties or weddings then this is a great opportunity to get free exposure. The more people that you can feed with your impressive baked goods, the more opportunities there will be for growing your customer base. More on starting up and small business ideas.